4152701 WH609-1 KOMATSU WH609-1 Telehandler. Spare Parts Catalog. Service (workshop) Manual. Operator's Instruction Manual. 4152702 WH609-1E0 KOMATSU WH609-1E0 Telehandler. Spare Parts Catalog. Service (workshop) Manual. Operator's Instruction Manual. 4152703 WH613-1 KOMATSU WH613-1 Telehandler. Spare Parts Catalog. Service (workshop) Manual. Operator's Instruction Manual. 4152704 WH613-1E0 KOMATSU WH613-1E0 Telehandler. Spare Parts Catalog. Service (workshop) Manual. Operator's Instruction Manual. 4152705 WH713-1 KOMATSU WH713-1 Telehandler. Spare Parts Catalog. Service (workshop) Manual. Operator's Instruction Manual. 4152706 WH713-1E0 KOMATSU WH713-1E0 Telehandler. Spare Parts Catalog. Service (workshop) Manual. Operator's Instruction Manual. 4152707 WH714-1 KOMATSU WH714-1 Telehandler. Spare Parts Catalog. Service (workshop) Manual. Operator's Instruction Manual. 4152708 WH714-1E0 KOMATSU WH714-1E0 Telehandler. Spare Parts Catalog. Service (workshop) Manual. Operator's Instruction Manual. 4152709 WH714H-1 KOMATSU WH714H-1 Telehandler. Spare Parts Catalog. Service (workshop) Manual. Operator's Instruction Manual. 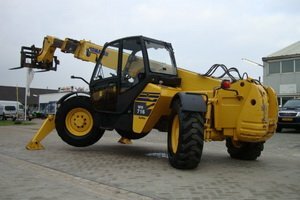 4152710 WH716-1 KOMATSU WH716-1 Telehandler. Spare Parts Catalog. Service (workshop) Manual. Operator's Instruction Manual. 4152711 WH716-1E0 KOMATSU WH716-1E0 Telehandler. Spare Parts Catalog. Service (workshop) Manual. Operator's Instruction Manual. 4152713 LA300WT-1 KOMATSU LA300WT-1 Mobile Crane. Spare Parts Catalog. Service (workshop) Manual. Operator's Instruction Manual. 4152714 LT300-1 KOMATSU LT300-1 Mobile Crane. Spare Parts Catalog. Service (workshop) Manual. Operator's Instruction Manual. 4152715 LT300-2 KOMATSU LT300-2 Mobile Crane. Spare Parts Catalog. Service (workshop) Manual. Operator's Instruction Manual. 4152716 LT500-1 KOMATSU LT500-1 Mobile Crane. Spare Parts Catalog. Service (workshop) Manual. Operator's Instruction Manual. 4152717 LT500U-1 KOMATSU LT500U-1 Mobile Crane. Spare Parts Catalog. Service (workshop) Manual. Operator's Instruction Manual. 4152718 LW80-1H KOMATSU LW80-1H Mobile Crane. Spare Parts Catalog. Service (workshop) Manual. Operator's Instruction Manual. 4152719 LW80-1X KOMATSU LW80-1X Mobile Crane. Spare Parts Catalog. Service (workshop) Manual. Operator's Instruction Manual. 4152720 LW80-1 KOMATSU LW80-1 Mobile Crane. Spare Parts Catalog. Service (workshop) Manual. Operator's Instruction Manual. 4152721 LW80-1 KOMATSU LW80-1 Mobile Crane. Spare Parts Catalog. Service (workshop) Manual. Operator's Instruction Manual. 4152722 LW100-1H KOMATSU LW100-1H Mobile Crane. Spare Parts Catalog. 4152723 LW100-1X KOMATSU LW100-1X Mobile Crane. Spare Parts Catalog. 4152724 LW100-1 KOMATSU LW100-1 Mobile Crane. Spare Parts Catalog. 4152725 LW100-1 KOMATSU LW100-1 Mobile Crane. Spare Parts Catalog. 4152726 LW160-1 KOMATSU LW160-1 Mobile Crane. Spare Parts Catalog. Service (workshop) Manual. Operator's Instruction Manual. 4152727 LW200L-1 KOMATSU LW200L-1 Mobile Crane. Spare Parts Catalog. Service (workshop) Manual. Operator's Instruction Manual. 4152728 LW250-1 KOMATSU LW250-1 Mobile Crane. Spare Parts Catalog. Service (workshop) Manual. Operator's Instruction Manual. 4152729 LW250-3H KOMATSU LW250-3H Mobile Crane. Spare Parts Catalog. Service (workshop) Manual. Operator's Instruction Manual. 4152730 LW250-3X KOMATSU LW250-3X Mobile Crane. Spare Parts Catalog. Service (workshop) Manual. Operator's Instruction Manual. 4152731 LW250-3 KOMATSU LW250-3 Mobile Crane. Spare Parts Catalog. Service (workshop) Manual. Operator's Instruction Manual. 4152732 LW250-3 KOMATSU LW250-3 Mobile Crane. Spare Parts Catalog. Service (workshop) Manual. Operator's Instruction Manual. 4152733 LW250-5H KOMATSU LW250-5H Mobile Crane. Spare Parts Catalog. Service (workshop) Manual. Operator's Instruction Manual. 4152734 LW250-5X KOMATSU W250-5X Mobile Crane. Spare Parts Catalog. Service (workshop) Manual. Operator's Instruction Manual. 4152735 LW250-5 KOMATSU LW250-5 Mobile Crane. Spare Parts Catalog. Service (workshop) Manual. Operator's Instruction Manual. 4152736 LW250L-1H KOMATSU LW250L-1H Mobile Crane. Spare Parts Catalog. Service (workshop) Manual. Operator's Instruction Manual. 4152737 LW250L-1NH KOMATSU LW250L-1NH Mobile Crane. Spare Parts Catalog. Service (workshop) Manual. Operator's Instruction Manual. 4152738 LW250L-1NX KOMATSU LW250L-1NX Mobile Crane. Spare Parts Catalog. Service (workshop) Manual. Operator's Instruction Manual. 4152739 LW250L-1X KOMATSU LW250L-1X Mobile Crane. Spare Parts Catalog. Service (workshop) Manual. Operator's Instruction Manual. 4152740 LW250L-1 KOMATSU LW250L-1 Mobile Crane. Spare Parts Catalog. Service (workshop) Manual. Operator's Instruction Manual. 4152741 LW250M-2H KOMATSU LW250M-2H Mobile Crane. Spare Parts Catalog. Service (workshop) Manual. Operator's Instruction Manual. 4152742 LW250M-2X KOMATSU LW250M-2X Mobile Crane. Spare Parts Catalog. Service (workshop) Manual. Operator's Instruction Manual. 4152743 LW250M-2 KOMATSU LW250M-2 Mobile Crane. Spare Parts Catalog. Service (workshop) Manual. Operator's Instruction Manual. 4152744 LW500-1H KOMATSU LW500-1H Mobile Crane. Spare Parts Catalog. Service (workshop) Manual. Operator's Instruction Manual. 4152745 LW500-1X KOMATSU LW500-1X Mobile Crane. Spare Parts Catalog. Service (workshop) Manual. Operator's Instruction Manual. 4152746 LW500-1 KOMATSU LW500-1 Mobile Crane. Spare Parts Catalog. Service (workshop) Manual. Operator's Instruction Manual. 4152747 LZ360W-1 KOMATSU LZ360W-1 Mobile Crane. Spare Parts Catalog. Service (workshop) Manual. Operator's Instruction Manual. 4152749 LC08M-1 KOMATSU LC08M-1 Crawler Crane. Spare Parts Catalog. Service (workshop) Manual. Operator's Instruction Manual. 4152750 LC18M-1 KOMATSU LC18M-1 Crawler Crane. Spare Parts Catalog. Service (workshop) Manual. Operator's Instruction Manual. 4152751 LC383-3 KOMATSU LC383-3 Crawler Crane. Spare Parts Catalog. Service (workshop) Manual. Operator's Instruction Manual. 4152752 LC503-1 KOMATSU LC503-1 Crawler Crane. Spare Parts Catalog. Service (workshop) Manual. Operator's Instruction Manual. 4152753 LC603-1 KOMATSU LC603-1 Crawler Crane. Spare Parts Catalog. Service (workshop) Manual. Operator's Instruction Manual. 4152754 LC605-1 KOMATSU LC605-1 Crawler Crane. Spare Parts Catalog. Service (workshop) Manual. Operator's Instruction Manual. 4152755 LC605-2 KOMATSU LC605-2 Crawler Crane. Spare Parts Catalog. Service (workshop) Manual. Operator's Instruction Manual. 4152756 LC755-2 KOMATSU LC755-2 Crawler Crane. Spare Parts Catalog. Service (workshop) Manual. Operator's Instruction Manual. 4152757 LC755-3 KOMATSU LC755-3 Crawler Crane. Spare Parts Catalog. Service (workshop) Manual. Operator's Instruction Manual. 4152758 LC755-3 KOMATSU LC755-3 Crawler Crane. Spare Parts Catalog. Service (workshop) Manual. Operator's Instruction Manual. 4152759 LC785-6 KOMATSU LC785-6 Crawler Crane. Spare Parts Catalog. Service (workshop) Manual. Operator's Instruction Manual. 4152760 LC1285-2 KOMATSU LC1285-2 Crawler Crane. Spare Parts Catalog. Service (workshop) Manual. Operator's Instruction Manual. 4152761 LC1285-2 KOMATSU LC1285 Crawler Crane. Spare Parts Catalog. Service (workshop) Manual. Operator's Instruction Manual. 4152762 LC1385-2 KOMATSU LC1385-2 Crawler Crane. Spare Parts Catalog. Service (workshop) Manual. Operator's Instruction Manual.